We tend to focus on what is wrong with relief and aid, and in some cases it is justified. But it is time we recognize the people who are dedicating their lives, long after the world has moved on, to chipping away at the work that remains to be done in Haiti. In some quarters, Haiti has become a convenient lightning rod for all that’s wrong with humanitarian aid and development assistance. You’ve no doubt heard it all: the problems are too complex and intractable; another example of the developed world forcing solutions on the developing world; fraud, corruption, and mismanagement syphon much-needed resources; quick fixes that are fleeting and unsustainable; and on and on and on. There’s truth in that story line, of course, but it’s only part of the story. Here’s the rest. 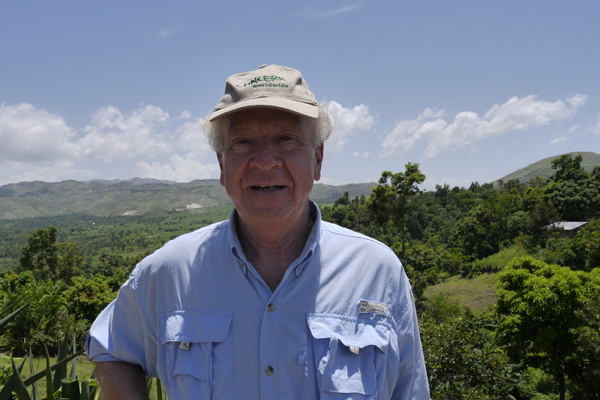 On a recent trip to Haiti, I visited Port-au-Prince, the chaotic capital city of some two million people, and Saut d’Eau, a community of about 35,000 people and a rough two-hour drive northeast of Port-au-Prince. Concern Worldwide has been on the ground uninterrupted in both places since the mid-1990s. They don’t consider themselves extraordinary, but I do. They are precisely the type of people you would want doing this work—big-hearted and tough-minded. In Saut d’Eau, they followed our standard operating procedure: listening before doing. After rigorous data assessments and still on-going community conversations, Concern staff worked with the residents of Saut d’Eau to design a series of programs they wanted to help lift themselves out of poverty. Working with people — often women who had previously been too poor to participate in more traditional development programs— Concern adapted a package of support to build capacity as well as confidence, both of which are equally important for people to move out of poverty for the long term. This includes the design of a training course and weekly follow-up support and guidance from a case worker that takes place over an 18-month period to give previously marginalized people the business and leadership skills to become aspiring entrepreneurs. Gradually, financial and material support from Concern is scaled back as people become eligible for loans to expand their small businesses. 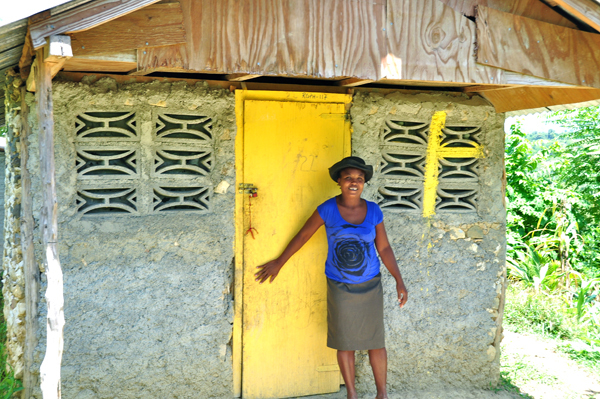 We visited one of these small business owners, a proud woman named Annite Israel, who met us at her home that was built with proceeds from her business. Her journey has not been easy and Annite has had setbacks, but she also has resilience in abundance. When asked what Annite liked about the training she received, she said “all of it” and then proceeded to recite the ten parts of her curriculum. I have no doubt she will put it to good use. The most ambitious of the work we are doing in Saut d’Eau is an attempt to jump-start a fledgling tourist industry. The community has at least two major attractions — a magnificent waterfall and a culture where Christianity and voodoo live side by side. Each July, tens of thousands Haitian pilgrims descend on Saut d’Eau to celebrate a major voodoo holiday. Sadly, they leave little but garbage behind. If the nascent local tourism board has anything to say about it, soon they will be leaving money. Ground is about to break on the construction of a cultural and tourist center. Eight residents are receiving support to construct small bed and breakfasts. The waterfall is one of a number of important tourist sites; five more of these are being made more appealing and accessible. Marketing plans are being drawn up. Sure, there are a lot of challenges ahead and the odds may be against it. But after meeting the tourist board, made up of all Haitians, I’d say it’s a good bet. In Port-au-Prince, our work is very different. Relocating people still living in camps is of paramount importance. While the public may perceive that the majority of those who lost their homes in the earthquake are still living in camps, the reality is something different. Just after the earthquake, some 1.5 million Haitians called camps their home. That number has already been reduced to 250,000 — a number of course that is still unacceptable, but progress is being made, camp by camp, family by family. In 2010, Concern developed a program called “Return to Neighborhoods,” which created a framework for getting people out of camps and into permanent homes through rental subsidies and small cash grants. Some 2,850 people are now living in rented housing because of the efforts. Concern is now focusing on Boliman Brandt Camp, home to nearly 10,000 people. It’s a rough place where food and water are constantly in short supply and cholera and gang violence are a way of life. Each of these families — 2,700 in total — will soon have a new home, a year’s rent paid up-front, and a $150 stipend to ease their transition. If history is a guide, the stipend will be used for education. Yes, that’s right: parents who have nothing will invest their small windfall in their children’s education. In eight short weeks, Boliman will be no more. The number of camp-dwellers will shrink by another 10,000 people. And this work will continue. Our team in Haiti and the people they help are heroes in my book. Unsung heroes. We tend to focus on what is wrong with relief and aid, and in some cases it is justified. But it is time we recognize the people who are dedicating their lives, long after the world has moved on, to chipping away at the work that remains to be done in Haiti. It’s a story of commitment and resilience, of hope and promise, of people who want and deserve a chance for a sense of normalcy. It’s not the stuff of headlines, but it’s inspiring nonetheless. Concern Worldwide is an international non-governmental organization dedicated to reducing extreme poverty through emergency response, recovery, and development programs. 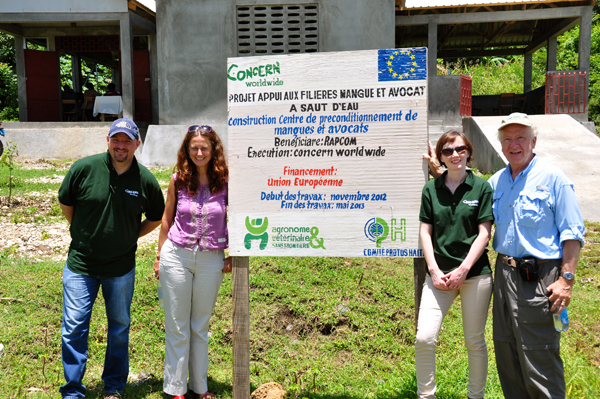 For information, please visit our website or follow us on Twitter (@Concern).